New Delhi, Dec 6 (IANS) Bollywood action hero Akshay Kumar's son Aarav seems to be walking in his father's footsteps already! The eight-year-old bagged three medals at a Karate tournament Monday. "I'm the proudest dad in India today! My son just won three medals in his annual Karate tournament," Akshay, a black-belt in martial arts, posted on micro-blogging site Twitter. Aarav won a gold medal for his kicks, and a silver medal each for his squats and combat fighting. Though Akshay's genes could well be the reason behind Aarav's accomplishment, the actor credits his wife Twinkle Khanna for their son's success. "I must say that Aarav's gold medal is all thanks to my wife. She gave him extra training everyday at home for the last one month and he thanked her with an outstanding gold medal in return. 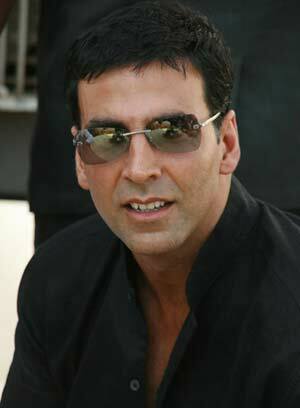 He may have my genes but he definitely has his mother's fighting spirit," wrote Akshay. "Tina (Twinkle's real name) I love you and I'm so proud of our son," he tweeted. One wonders if later Aarav will take the Bollywood route to fulfil his love for action, just as his father did with films like "Khiladi" and "Mohra".